Have you seen this new book? 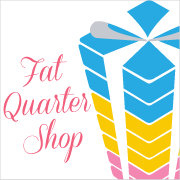 I was asked by DRG to review a few quilt books for them this week. I've done this once before and I was really interested in these. I will be giving away a couple of the books this week. The first one up this week is Bed Runners &More. It includes 9 patterns for bed runners and six pillow sham styles. Overall there are projects for a beginner all the way to advanced. There are step-by-step instructions and color photos of each design. My favorite project is the patriotic runner. I'm always searching for seasonal or holiday patterns that can be used year round. You know IF I forget to put that season away LOL. If you would like to win a copy of Bed Runners & More then please leave a comment below. I really want this book! Thanks for the chance to win it! It looks like some fun projects! Thanks for the chance to win! Terri my name is all over this book. I may seasonal things for my home and this would fit right in for me. Oh wow......look at that patriotic bedrunner and pillow!!! Thanks for the giveaway. 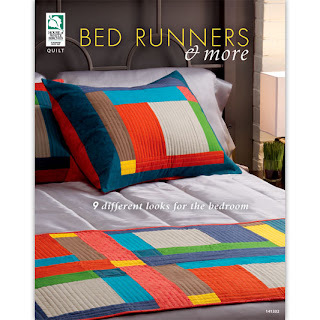 I <3 the idea of a bed runner and would be delighted to win. It looks like a great book. I can see that runners would really add a splash of color to the bed too. I am just finishing my first bed runner and I love the idea of using a runner and pillow shams to decorate our bedroom. It is such a great way to change the look of a room quickly. This book looks great and I thank you for the chance to win! How interesting...a bed runner! I like the idea! The books looks like it would be interesting too! Thanks for the chance! It would be neat to have this book right now. You don't see many bed runners and of course my sister pointed one out to me yesterday as "wow, that's a cool idea." I think she would like one. I just need some inspiration. Thanks for the opportunity. I love the idea of bed-runners. I never seem to have the time or energy with my 3 young girls to do a full bed sized quilt. I like the idea you have of having seasonal ones to switch out all year long. Now i need this book!! thanks. Lucky 13:) I would love this book. That red, white & blue set is stunning! Yep, I would definitely love to have a copy of that book! Thanks for the chance to win! This book looks great, and useful! Thanks for the chance to win. This is the first time I have seen this book but would love to have it my collection. Am wanting to make a bed runner for my bed at the moment so inspiration would be wonderful. How funny, I have been thinking about making a few bed runners instead of quilts as quilting them (or should I say fighting with them) on my home machine is hard work! Thanks for the chance to win. What fabulous looking books there. Definitely add me to the mix for the give! We're getting ready for our annual Spring Cleaning and everyone needs new bed linens! Love all the inspiration. Thanks for the opportunity! I was just thinking I need to revamp my bed decor. Thanks for the chance to win! You know it's funny...I won a book similar to this all the way back in January and it never came...so maybe I'll try to win this one and it won't be eaten by the PO. =) Thanks for a chance. Lovely! I love books with smalle projects. Looks like fun! This would be great for my daughter and I to use for some summer projects while she is home from college! thanks! I agree I love the red white and blue stuff. I could leave it up year round. Well, until the snow starts and then we have to bring out all the snow man stuff. Great book, thanks for the chance to win. What fun projects! 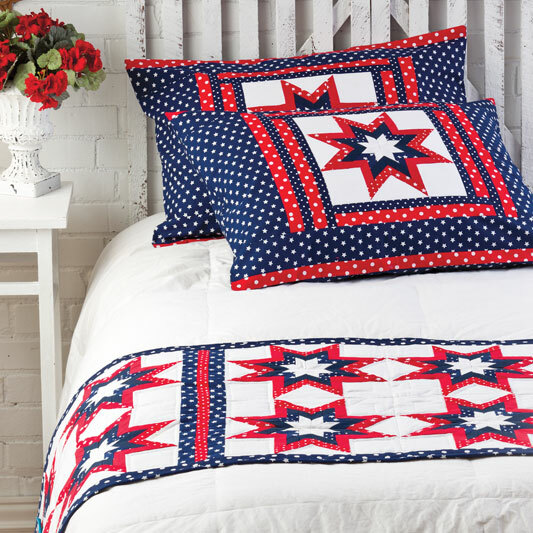 I especially like that patriotic runner with matching pillow shams. Thanks for hosting this giveaway. I am at a loss as to what to make for my sisters birthday this year - a bedrunner would be perfect! Thanks for a chance to win this book. I would really love this book. Small projects seem to get done around here. Thanks for the chance to win. Looks fun Thanks for the chance!! I would love to win this book. thanks for the opportunity! I'd love to win the book, thank you for the chance!!!! I love the idea of bed runners. The patriotic one is very cute! Thanks so much for the givewaway! Yes please! I need a bed runner for the end of my bed so that the cats have a place to sleep and it's easier to wash instead of a quilt or comforter. Thanks for the chance, Vicki! Looks like a great book! Thanks for the chance! I've never really thought about bed runners before! I would love to give one a try. Thanks for the chance to win! Oh the red,white and blue one screams out my name. I'd love to win this book. Looks like a fun book. These would also make great housewarming gifts I think. Thanks for the chance to win a copy. Thanks Vickie for the giveaway and the review! I have always loved the thought of a bed runner. 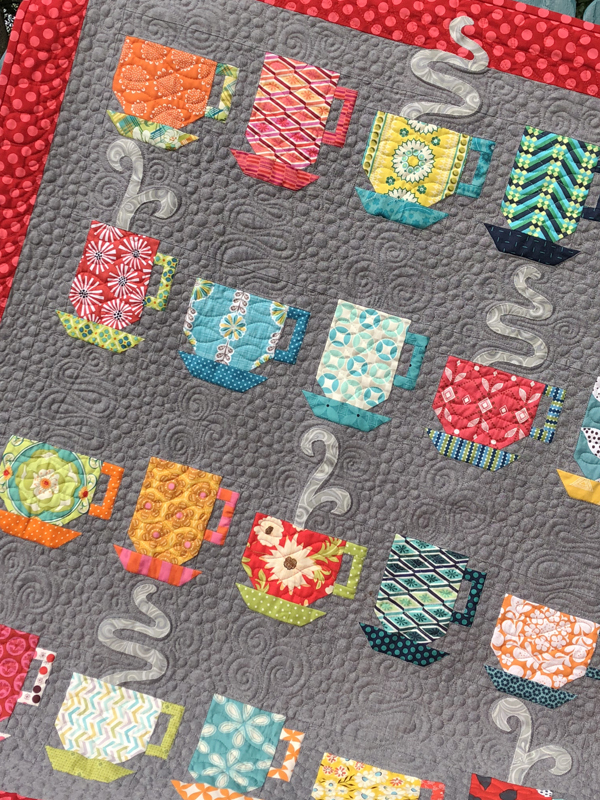 I mean I love making quilts but I like the thought of a quick project that leaves a big punch. This book looks great! What an original book. This time not with quilts, but with bed runners. Love it! And then those pillow cases. Absolutely yummy! I had been thinking of bed runners lately, but did not know they had an actual name, let alone that there was a book solely about them. Thanks for the chance! I would love to see all the projects in this book. This book sounds right up my alley! Would love to win. Would love to win a copy of this book - thanks! Oh wow! This is awesome! I just made a flannel bedrunner for my cats to lay on as I discovered they love flannel. But, I had no pattern. I just winged it. It's okay. But, I would so love to have this book to make a few AWESOME bedrunners! Great book. Put my name in the hat...thanks for the chance. This book is a great way to add seasonal colour and charm to rooms. Thanks for the chance to win. Hah! I was saying to my girlfriend the other day how I would like to make a bed runner because they seem to be so popular!!! Wow, how cool is that! I really like the cover pattern, very modern. Thanks for the chance to win. My mother got the most wonderful comforter for Christmas, so I would love to make a bed runner for her. 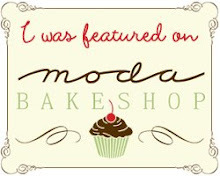 Following you on Pinterest and love your blog. 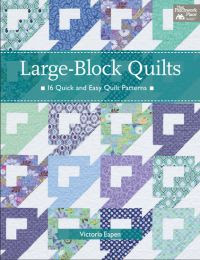 Would love to add a new book to my quilting library! Sounds like a really fun book - thanks for the chance to win. I love the patrotic runner! Thanks for the chance to win a copy of the book. I love the idea of making seasonal runners. That is a great idea to runners! If you dont have the tme to make a big quilt you could just do a runner and pillows! Neat idea especially if you like to change things with the season. Am I totally oblivious to a trend here? I had never heard of a bed runner. Sounds interesting. Thanks for the giveaway. I'm really loving this bed runner trend - what a great way to have something new, but not have to go through the lengthy process of making a bed sized quilt! I've always thought bedrunners would be cool to make....great book. This is a very nice book! I love the patriotic runner. I'm pretty sure that would probably be my favorite too! I would really love to win this book! 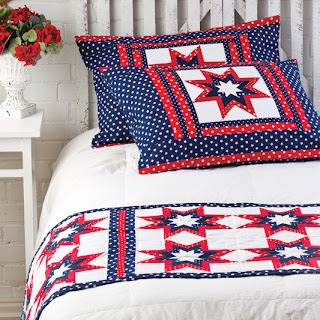 We put a little blanket on our feet at night, a pretty quilt would be perfect!